Soil contaminated with heavy metals (HMs) is a serious problem throughout the world that threatens all living organisms in the soil. Therefore, large-scale remediation is necessary. 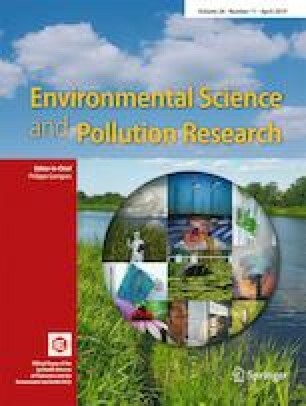 This study investigated a new combination of remediation techniques on heavy metal contaminated soil, phytoremediation, and soil amendment with nano-sized zero-valent iron (nZVI) and rhizosphere microorganisms. White willow (Salix alba L.) was grown for 160 days in pots containing Pb, Cu, and Cd and amended with 0, 150, and 300 (mg kg−1) of nZVI and rhizosphere microorganisms, including the arbuscular mycorrhizal fungus (AMF), Rhizophagus irregularis, and the plant growth promoting rhizobacteria (PGPR), Pseudomonas fluorescens. The results showed that inoculation with PGPR and AMF, particularly dual inoculation, improved plant growth as well as the physiological and biochemical parameters of white willow, and increased the bioconcentration factor (BCF) of Pb, Cu, and Cd. The low dose of nZVI significantly increased the root length and the leaf area of the seedlings and increased the BCF of Cd. In contrast, the high dose of nZVI had negative effects on the seedlings growth and the BCF of Pb and Cu, about − 32% and − 63%, respectively. Our results demonstrate that nZVI at low doses can improve plant performance in a phytoremediation context and that the use of beneficial rhizosphere microorganisms can minimize nZVI stress in plants and make them less susceptible to stress even under high dose conditions. The online version of this article ( https://doi.org/10.1007/s11356-019-04411-y) contains supplementary material, which is available to authorized users. We do also extend our appreciation to the Soil and Water Research Institute (SWRI) who provided the bacteria and fungi. We also would like to thank Dr. Erik Joner for his useful comments on the manuscript. All authors contributed equally to conceive and design the analysis; SMK carried out the experiment and analyses, and wrote the manuscript with support from SMH, MTK, and HY. The authors wish to thank the financial support provided by The Tarbiat Modares University (TMU). The authors have declared no conflict of interest. All authors also participated in all stages of research including the conception and design of the study, acquisition of data, analysis and interpretation of data, drafting the article, and approval of the final version of the manuscript.